Radford University is happy to announce the Spring 2018 Annual Music Therapy Symposium, March 15-17, 2018, with 2 courses that offer 9 CMTEs each. Both courses are offered free of charge, and neither course has any prerequisites. We are very excited to host Elizabeth (Beth) Schwartz, MA, LCAT, MT-BC and Annette Whitehead-Pleaux, MA, MT-BC. Beth Schwartz is co-founder of “Raising Harmony: Music Therapy for Young Children” as well as adjunct professor at Molloy College in New York. She is a celebrated author in the field providing training, supervision, and development in a variety of professional and academic settings. Annette Whitehead-Pleaux is Senior Clinical Supervisor at Roman Music Therapy Services and serves as adjunct professor in music therapy at several well-known universities, including St. Mary-of-the-Woods College, Lesley University, and Colorado State University. Her recent edited book, “Cultural Intersections in Music Therapy” is being widely celebrated in the field and beyond. Identify 5 developmental music-centered goals and objectives for use in music therapy. Lead 5 music experiences/interventions designed to reflect developmental music-centered outcomes. Explain how to practice 3 therapeutic vocal techniques with 2 different clinical populations. Demonstrate 3 uses of the voice to meet specific therapeutic needs and address clinical goals. Identify three changes to their practice to enhance cultural competence. Identify key points for engaging in discussions about cultural responsiveness with music therapists and community members. Explain how bias impacts therapeutic relationships with clients. Explain the importance of practicing within their level of training in regard to clients with different intersectional identities. There will be a $5 catered lunch available to order for Friday, March 16th and a free lunch (sponsored by ???) on Saturday, March 17th. Please fill out the following Google Form before March 2nd to order your catered lunch for the 16th: https://goo.gl/forms/udhYIxIwV60UpxV83. Finally, the Music Therapy Student Organization at Radford University (MTSORU) will be live streaming the Spring Symposium. Please follow the MTSORU at https://www.facebook.com/Music-Therapy-Student-Organizatio…/ for more information! The live-streamed Symposium will not be eligible for pre-approved CMTE credits. 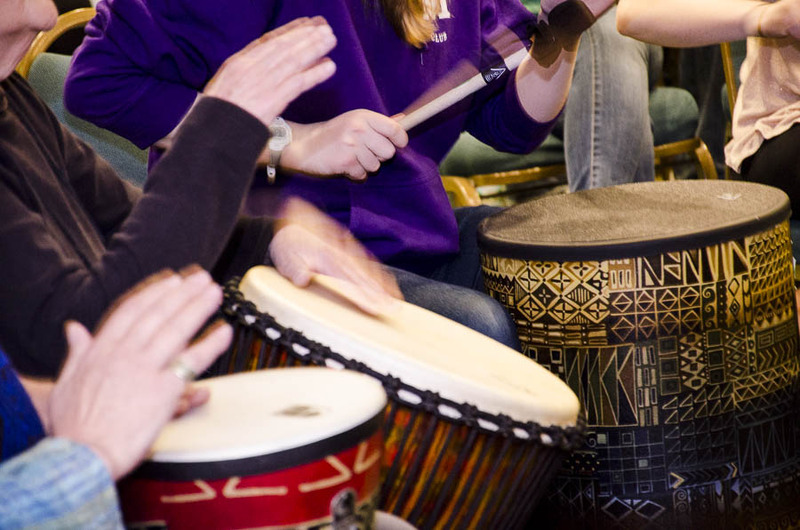 “Musical Development…” and “…Culturally Responsive MT” are each approved by the Certification Board for Music Therapists (CBMT) for 9 Continuing Music Therapy Education credits. The MAR-AMTA (P#065) maintains responsibility for program quality and adherence to CBMT policies and criteria. MAR-AMTA, #CAT-0021, is approved by the New York State Education Department’s State Board for Mental Health Practitioners as an acceptable provider of continuing professional education (CPE) for licensed creative arts therapists. Both courses provide 0 contact hours for LCATs.